The Air Force will soon announce how it plans to cut 25,000 airmen over the next five years if sequestration continues, Chief of Staff Gen. Mark Welsh told Air Force Times reporter Stephen Losey. 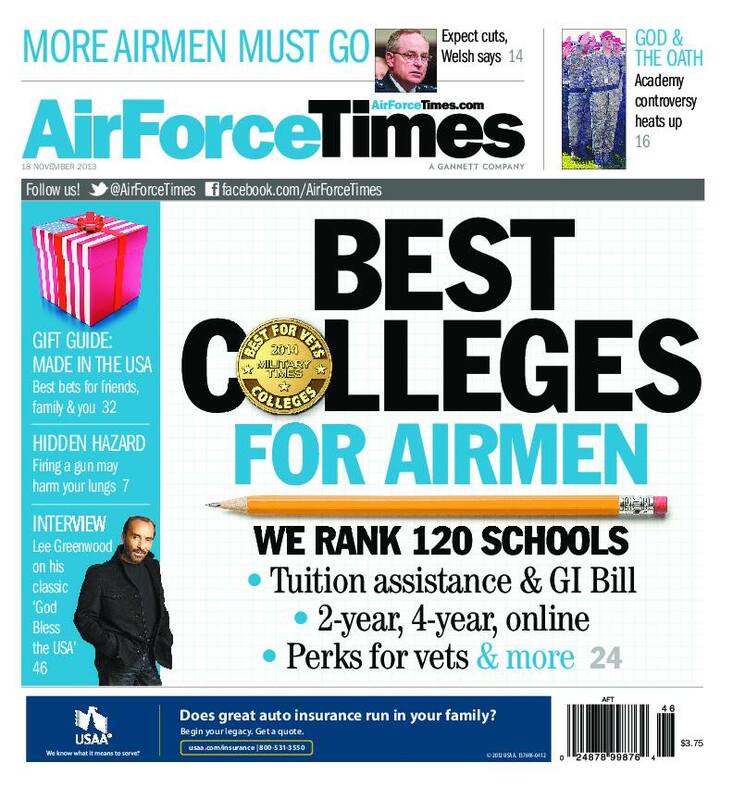 In this week’s Air Force Times, you can read how the Air Force expects to make those cuts. In other news, a plan to rapidly deploy F-22 fighters is closer to reality after a successful test this summer at Joint Base Elmendorf-Richardson, Alaska. The concept would drastically cut the logistics and overhead needed to schedule a deployment. Meanwhile, the Air Force Academy is allowing junior cadets to become instructors for the academy’s unmanned aircraft program. More cadets could be certified as evaluators if they distinguish themselves. Also this week: Several U.S. airmen were held by the Swiss during World War II, but they were not eligible for POW Medals until an Army major led a campaign to have the internees recognized as prisoners of war. And one airman got a unique message to welcome him home: A 2.5 acre corn maze. You can read what his reaction was upon seeing the maze.